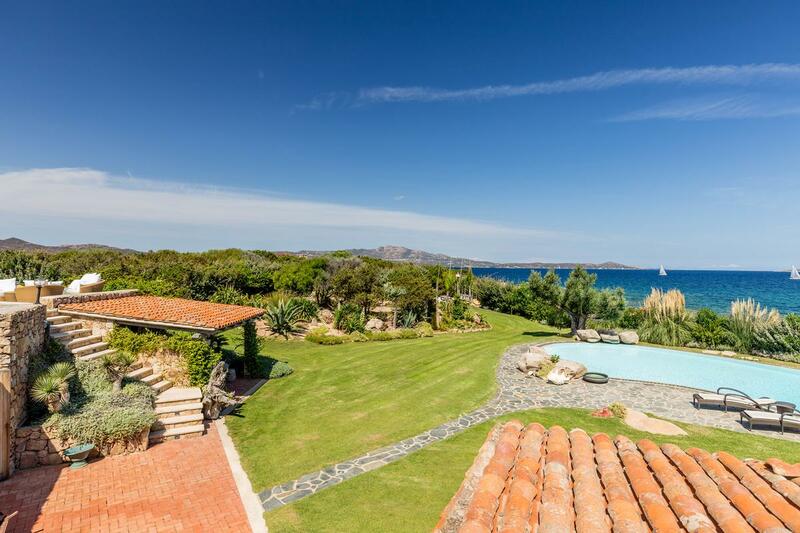 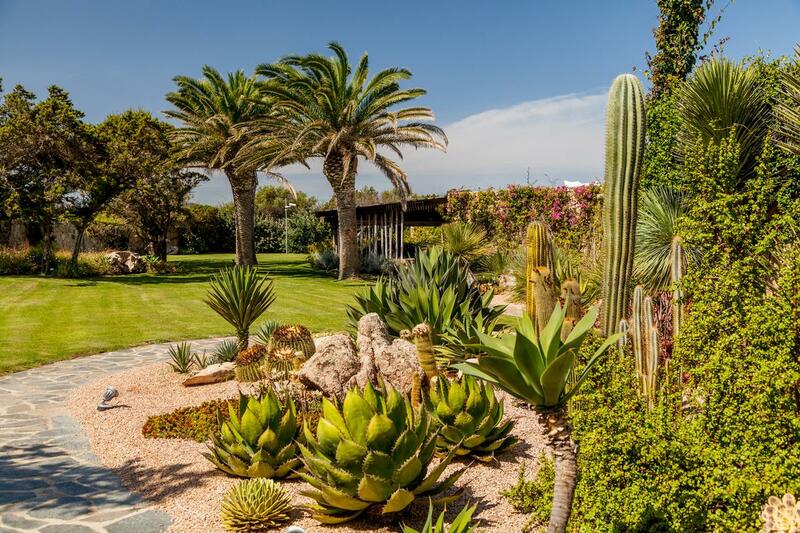 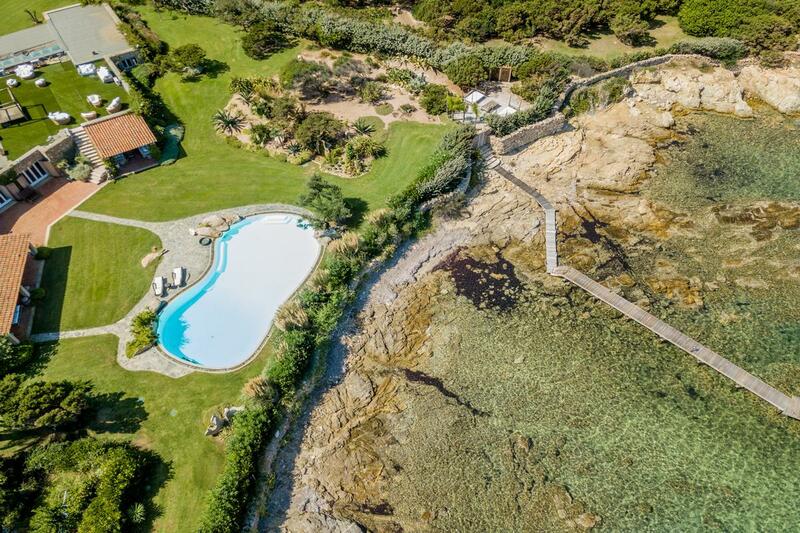 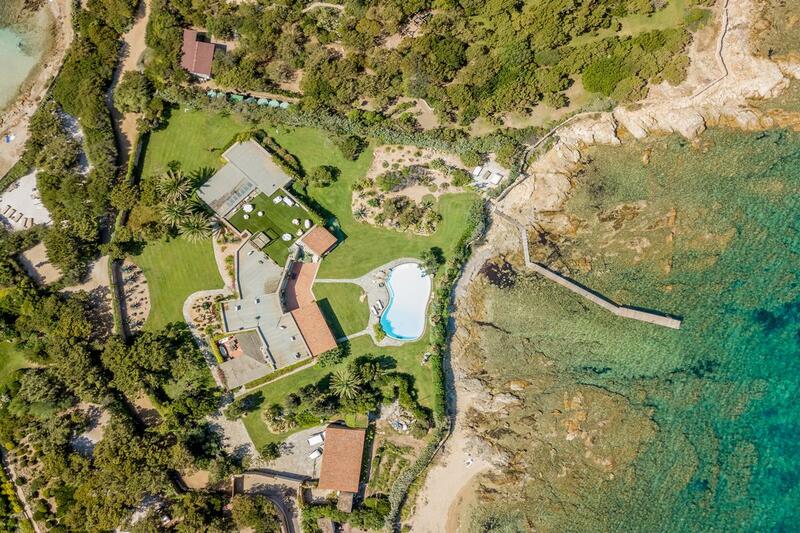 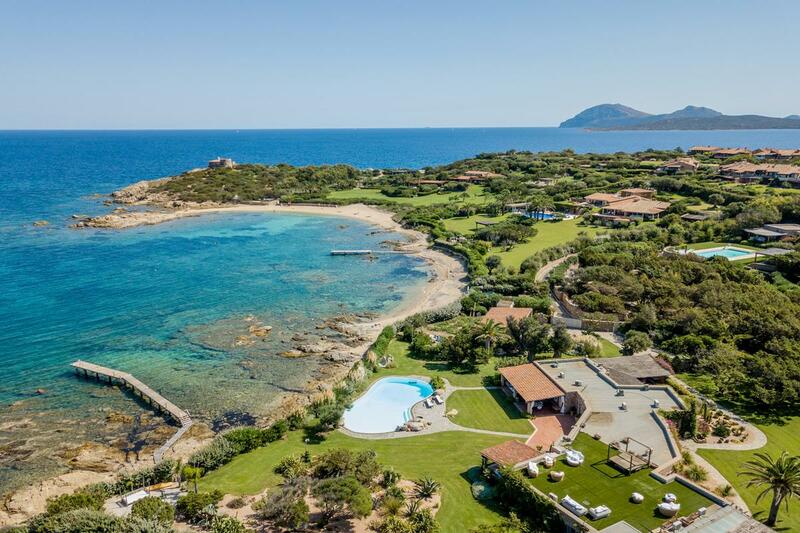 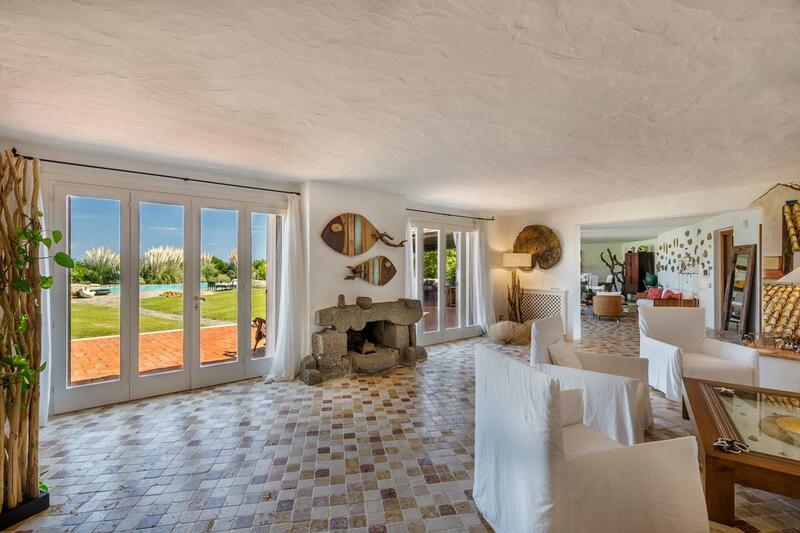 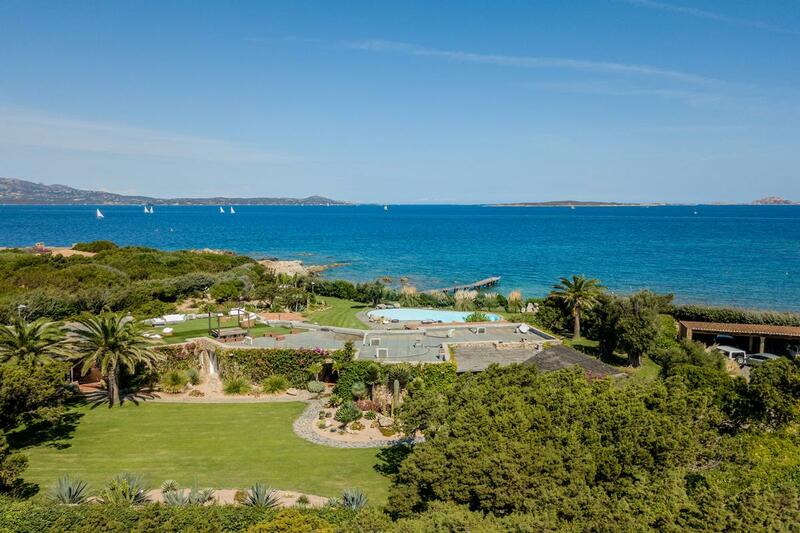 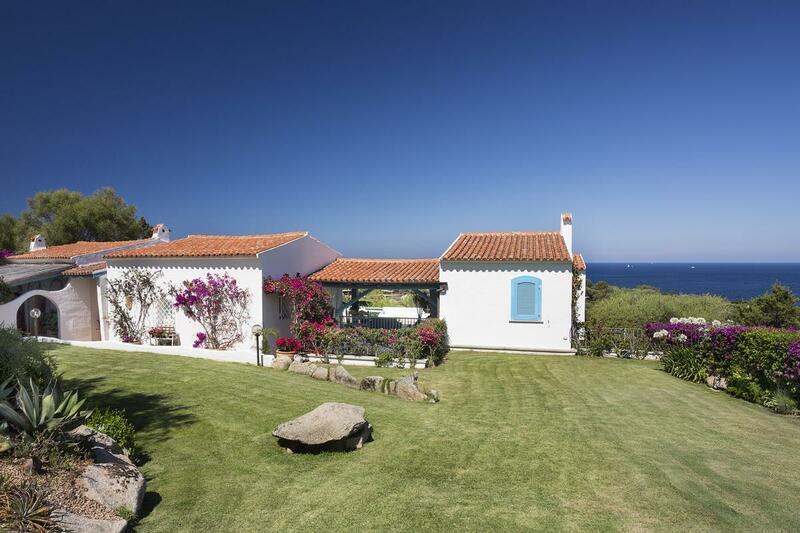 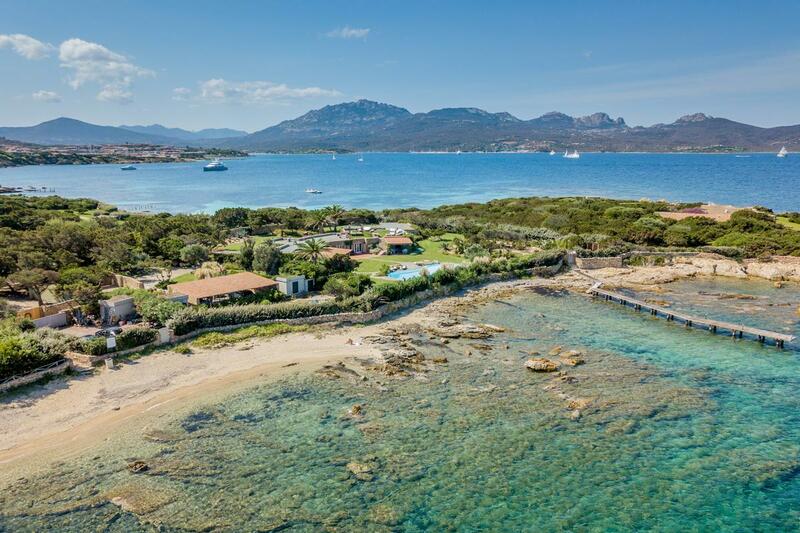 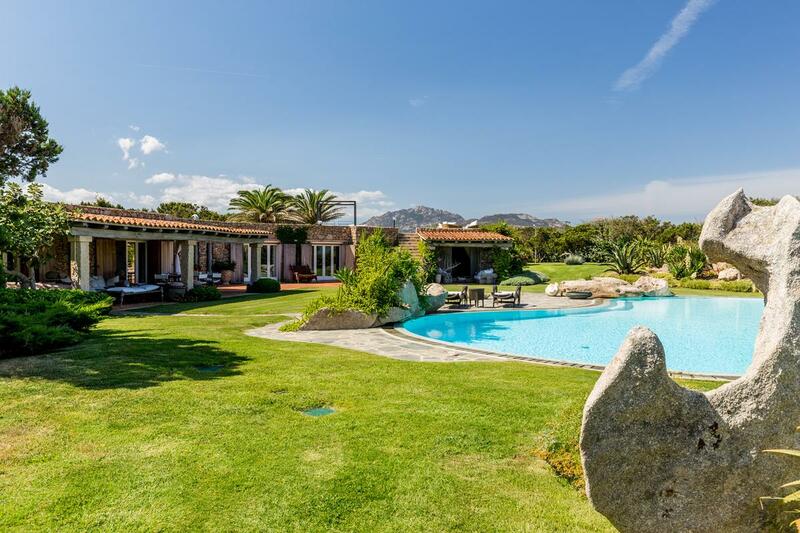 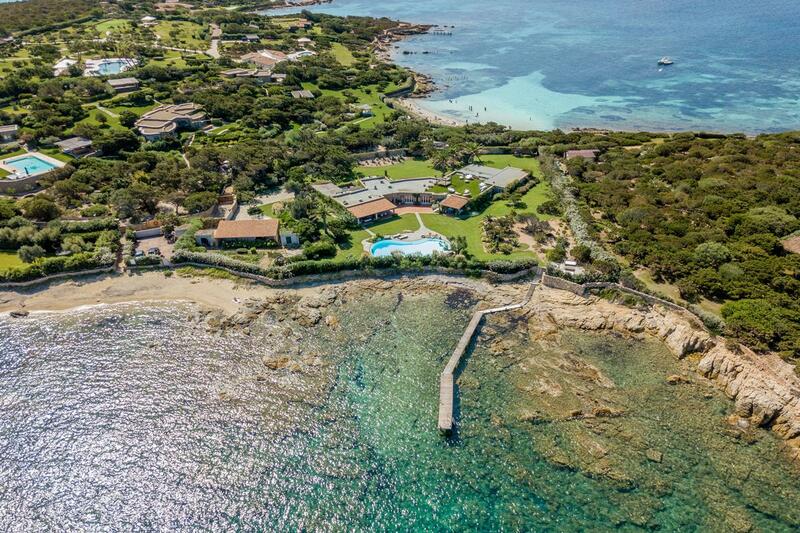 Exclusive waterfront villa exquisitely located in a dream location, one of the most sought after, and amazing area of Porto Rotondo: the magnificent peninsula of Punta Volpe. 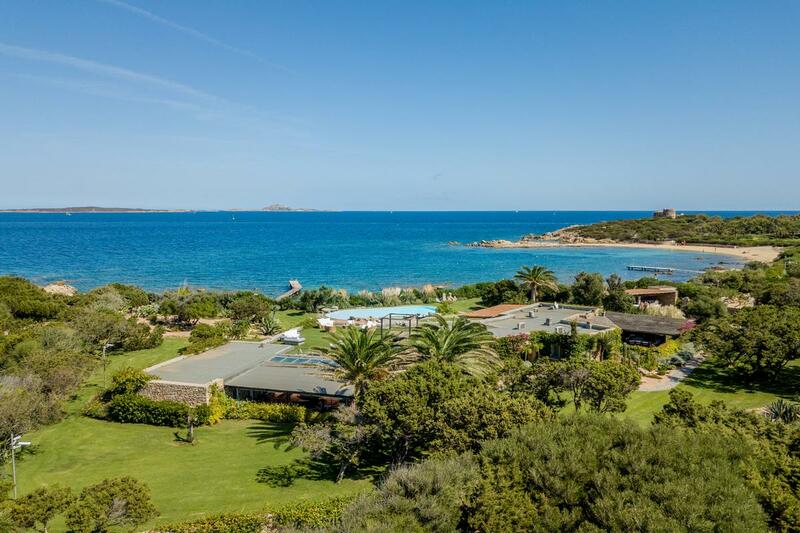 Natural beauty frame, crowned by the picturesque homonymous beach embracing the most beautiful pieds dans l'eau villas of this location. 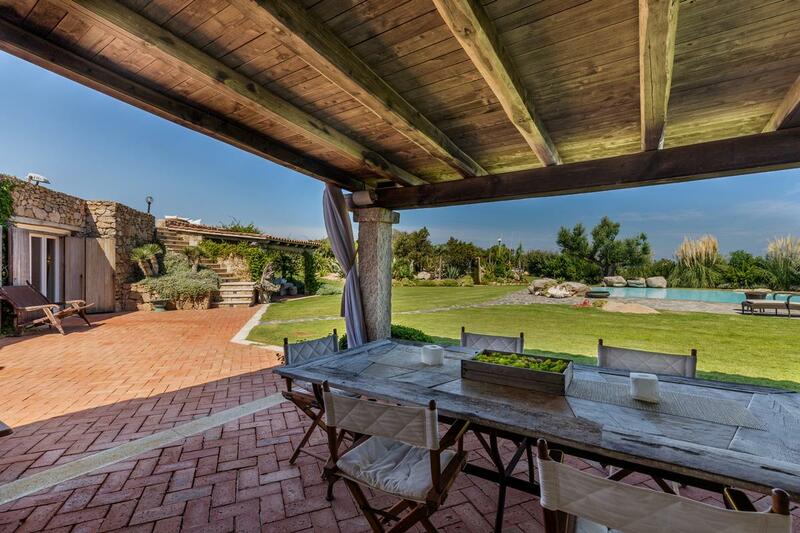 Wisely positioned in this privileged neighborhood Villa Guttuso enjoys the utmost privacy and security. 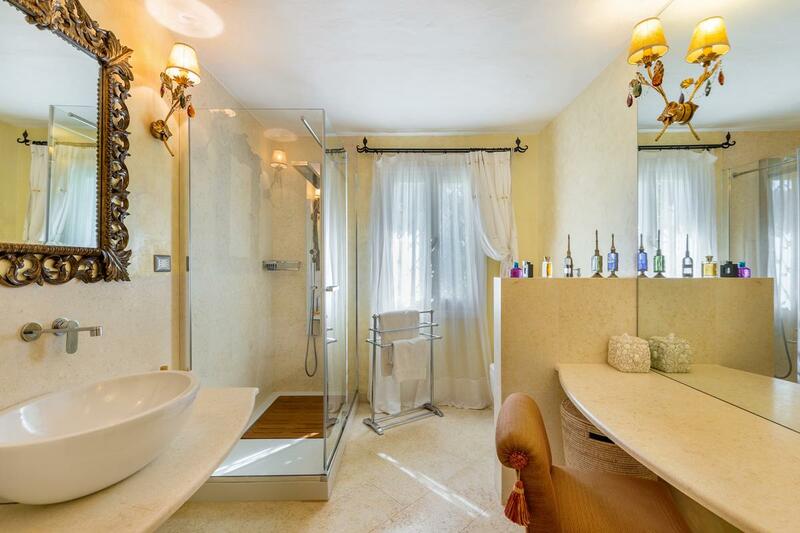 It stands out for its great elegance and sophistication of details, ideal for lovers of beauty and for those who boast a strong aesthetic taste. 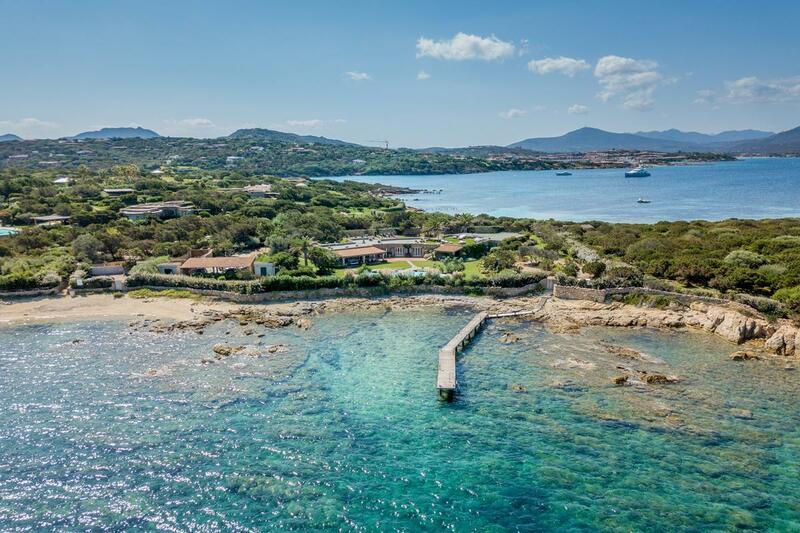 The villa has its real added value in the privileged location: pieds dans l'eau, with private dock and direct access to the enchanting white sandy beach. 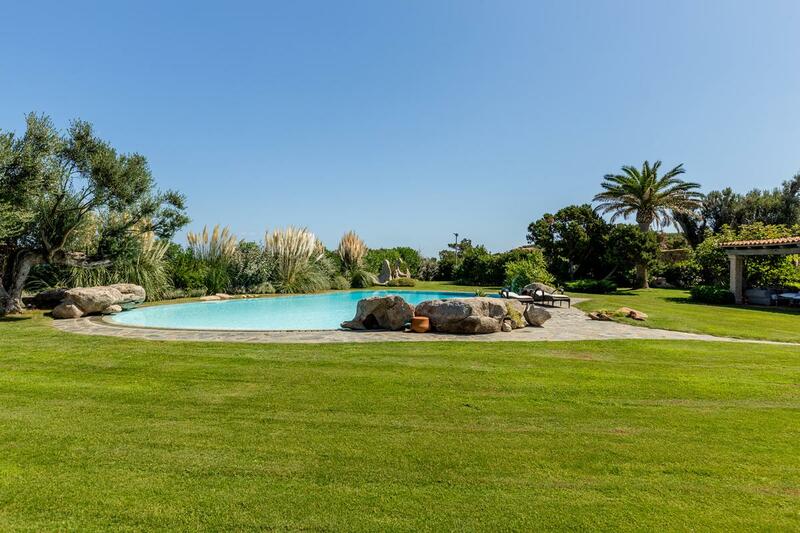 Starting with its name, an homage to the famous Sicilian artist, Villa Guttuso reveals its peculiar beauty and uniqueness. 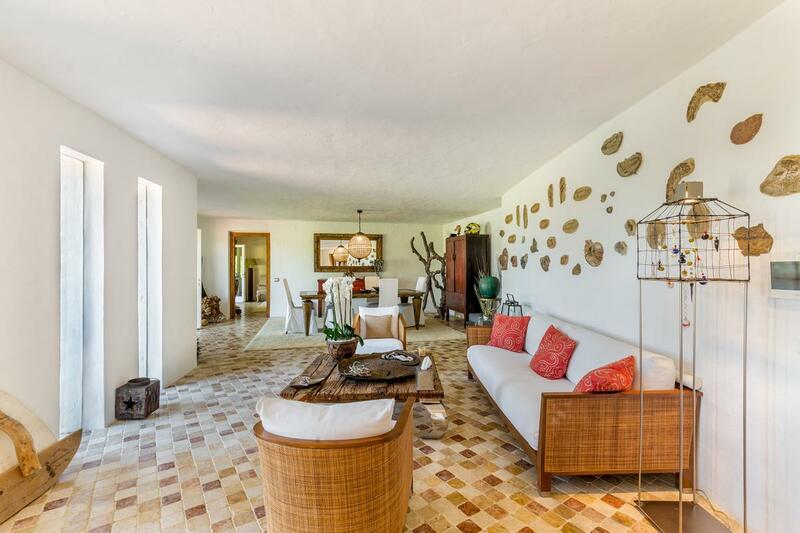 The living area consists of a large living room, very bright thanks to the large windows open on verandas, dining area, lounge. 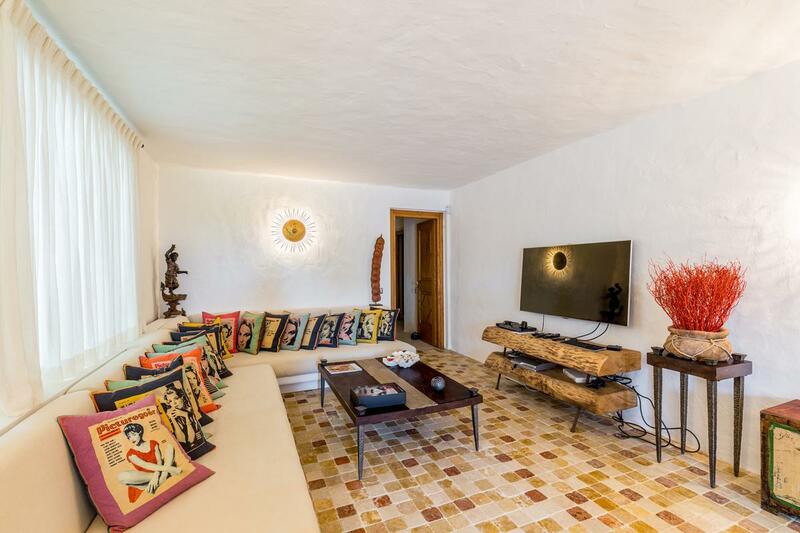 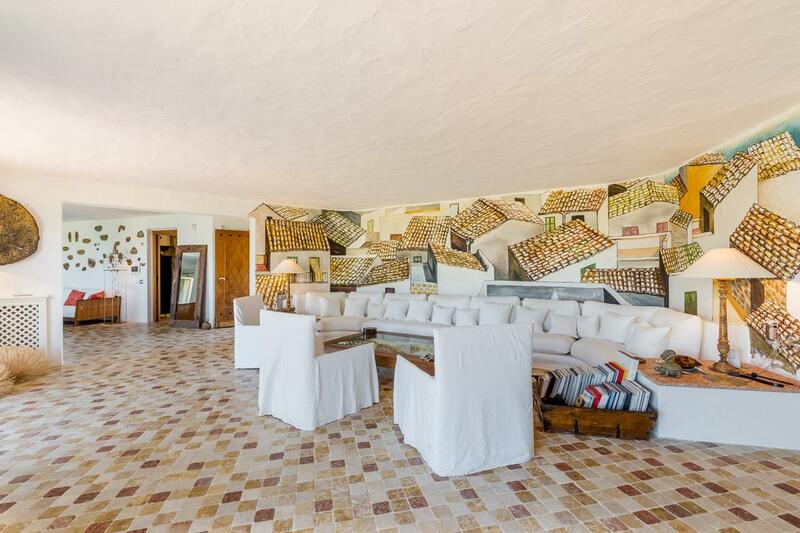 In the main living room are the frescoes by Renato Guttuso, eclectic painter who was able to blend in his works the various currents that, since his adolescence, influenced his art. 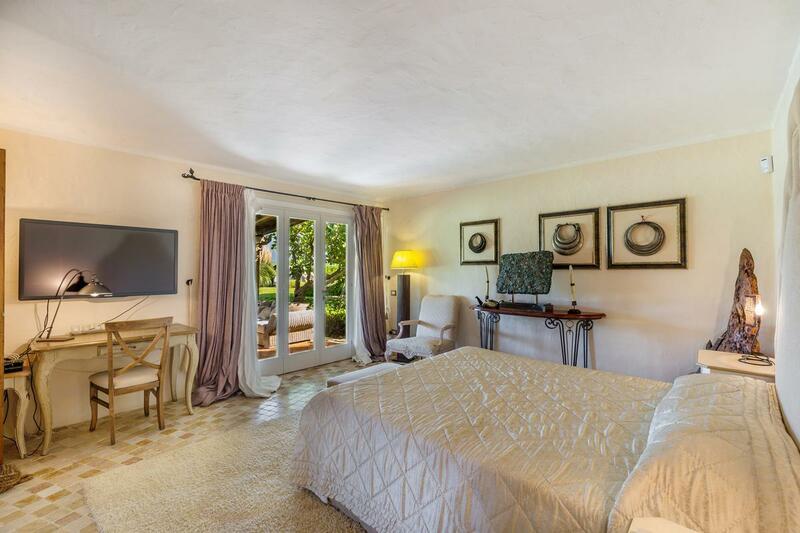 Villa Guttuso is characterized by elegant textures, refined interior décor and prime traditional finishing. 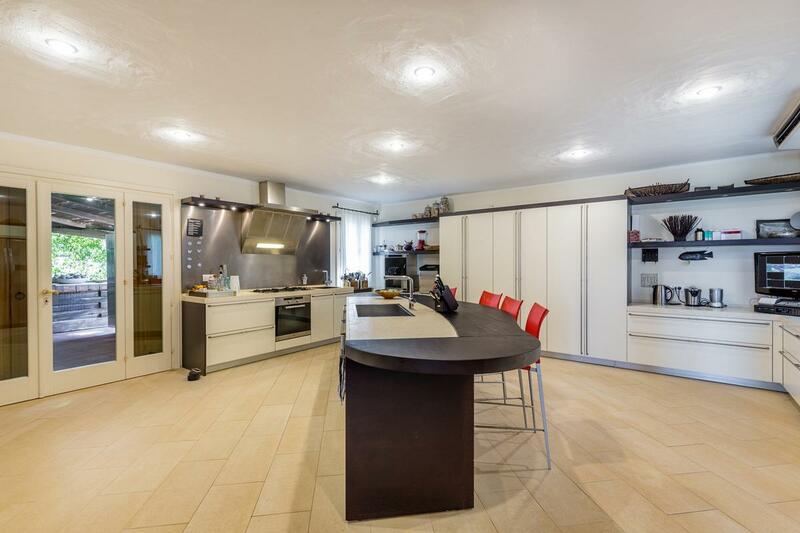 A chef's paradise, the spacious and professional kitchen is equipped with state of the art appliances and is perfect for cuisine lovers and for entertaining guests. 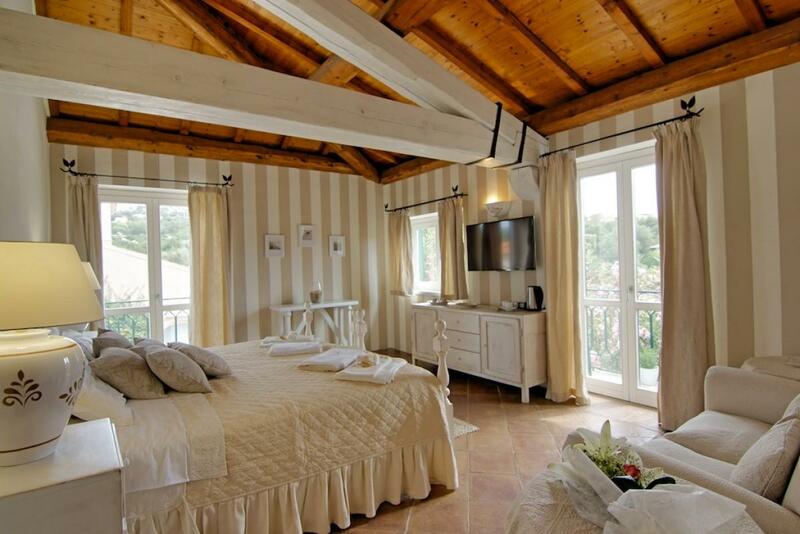 In the sleeping area there are two spacious master bedrooms with en suite bathroom and 4 other bedrooms. 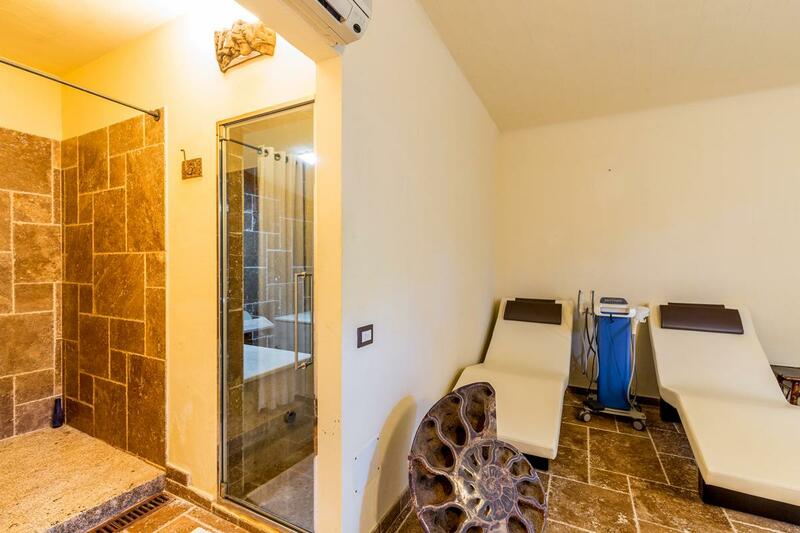 One of the rooms has been cleverly revised as spa - wellness area, with a comfortable sauna and a massage area, perfect for moments of relaxation for the guests of the villa. 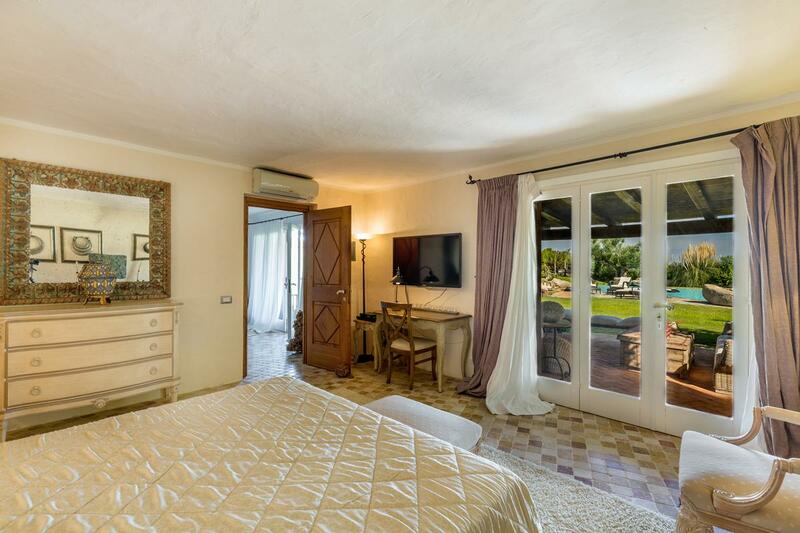 All the bedrooms enjoy great brightness thanks to the large windows open directly onto graceful outdoor lounge areas that enhance the sense of continuity between the interiors and the outside. 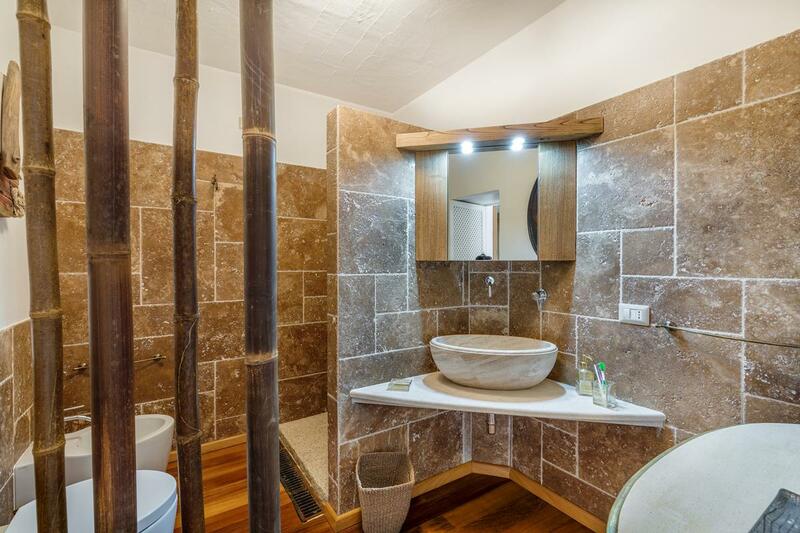 The villa also includes a basement staff quarter, dedicated to service staff. 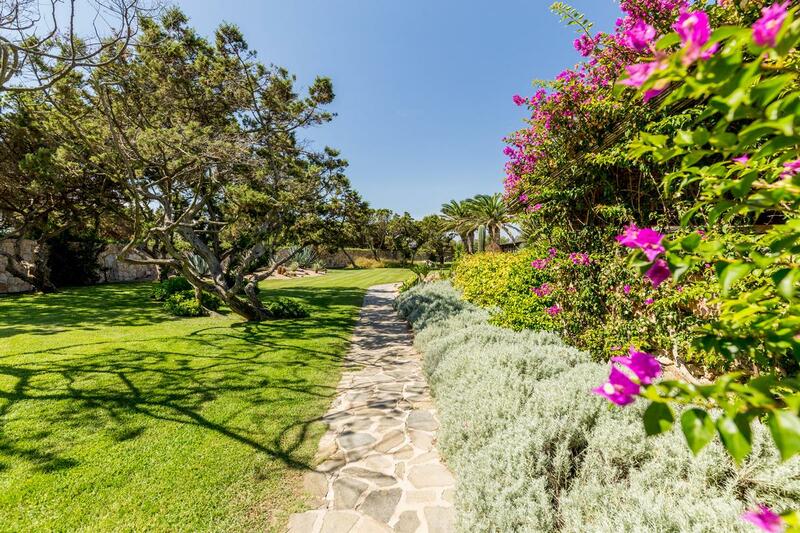 The property is nestled in a large and well-kept blooming garden, intelligently designed and conceived, and bordering the amazing seashore. 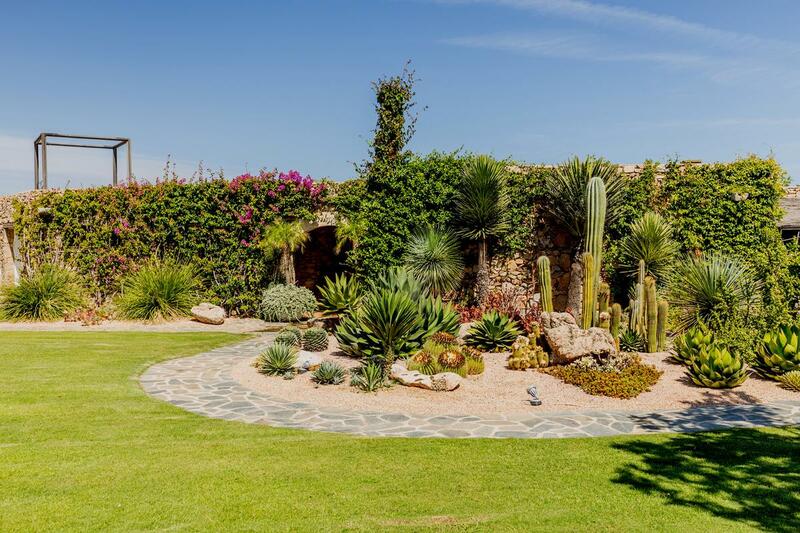 The park gently embraces the house guaranteeing an innate sense of tranquility, vivid colors and inebriating aromas. 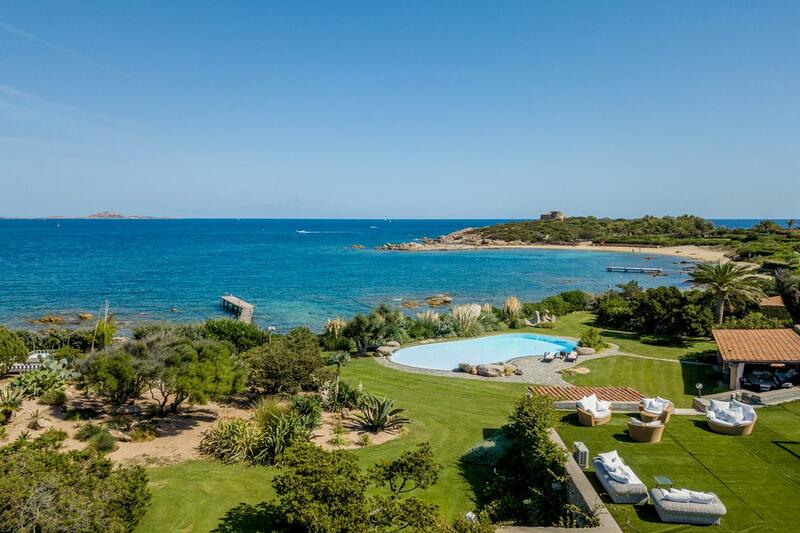 Relaxing generous outdoors spaces are ideal for alfresco entertaining and for admiring the crystal water and the gleaming yachts from the numerous terraces, lounges sitting areas or from the panoramic equipped roof garden. 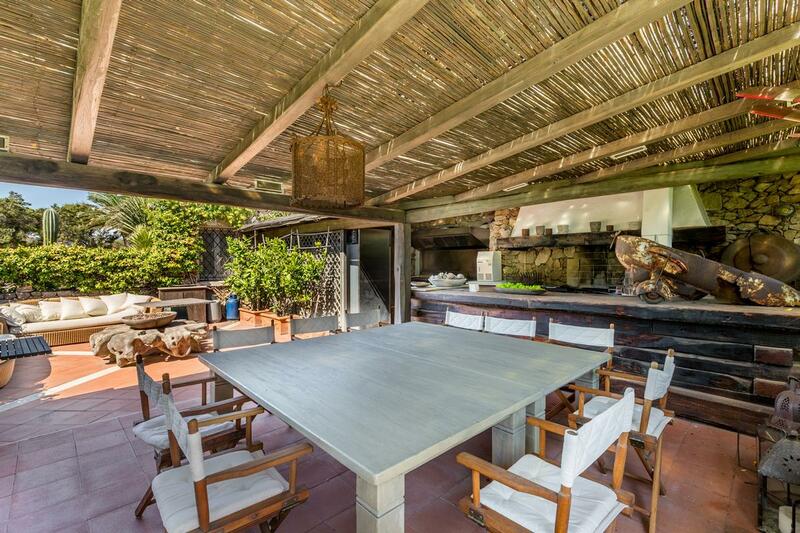 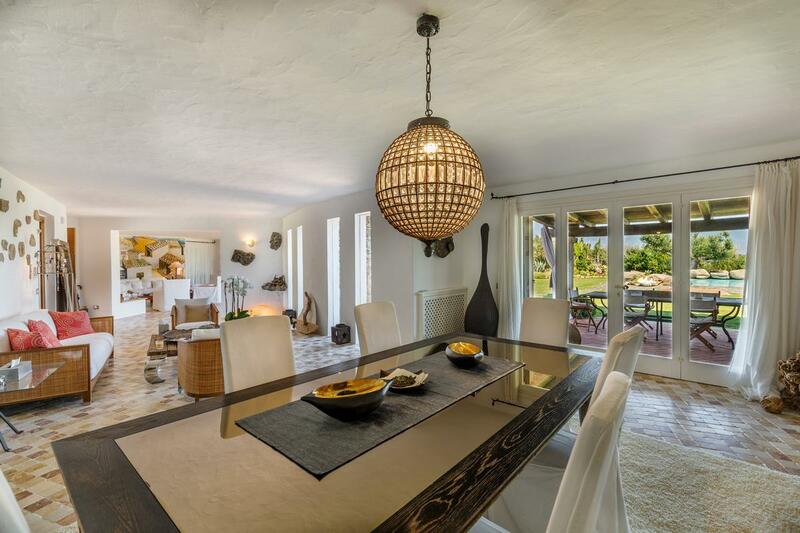 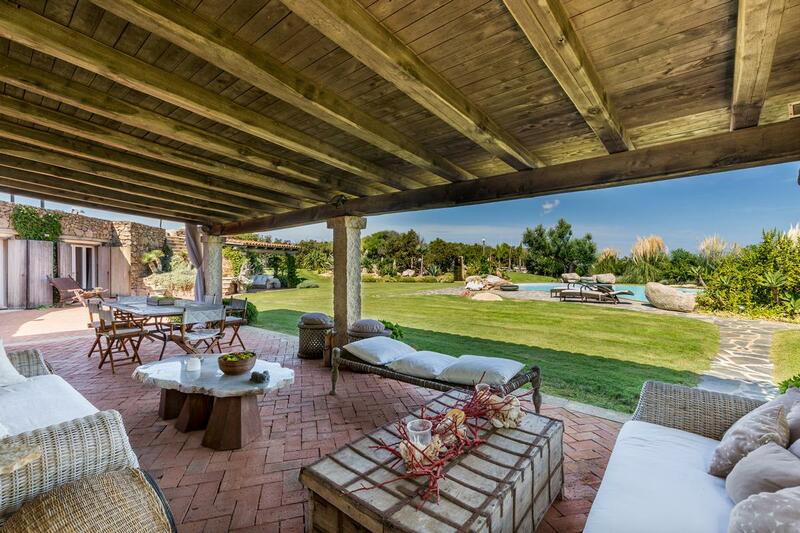 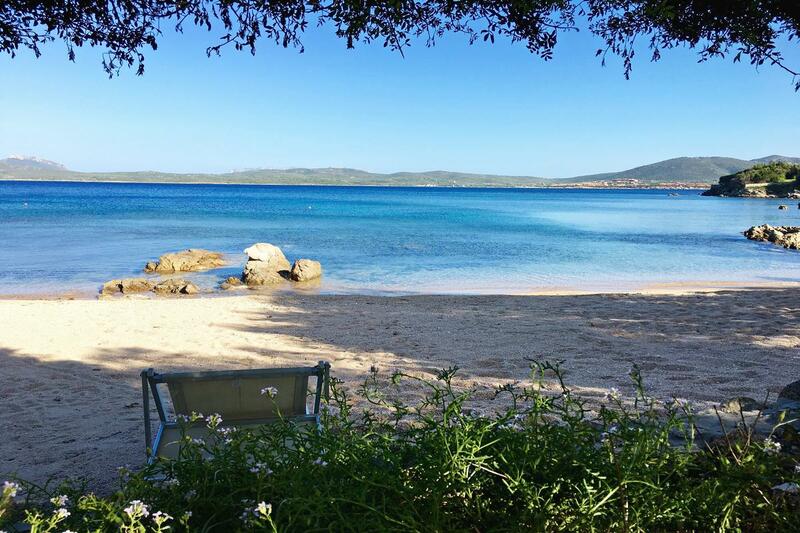 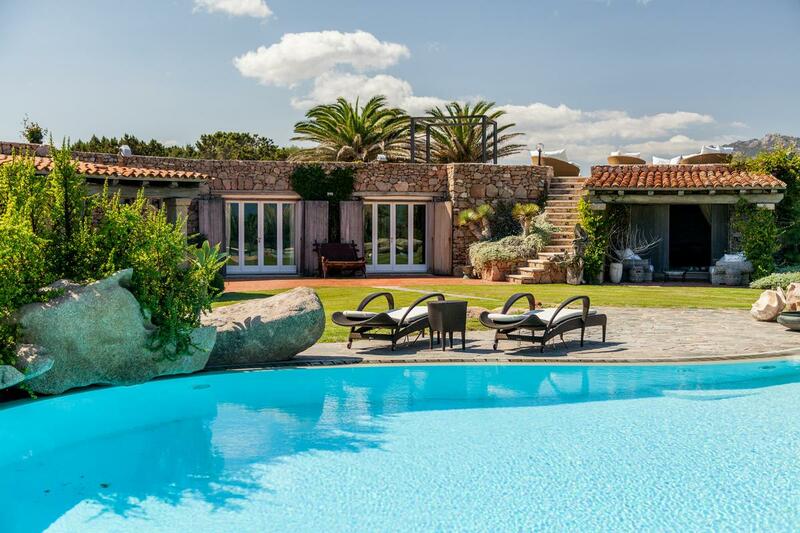 A professional outdoor kitchen with a large dining area and a wonderful pool are perfect for admiring one of the most spectacular scenery Sardinia has to offer. 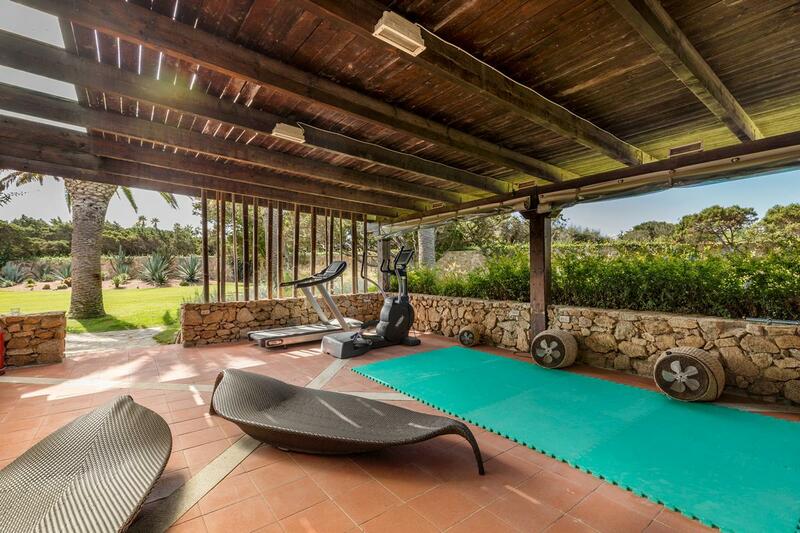 For fitness lovers, the property also boasts a private outdoor gym area for enjoying the benefits of outdoor physical activity. 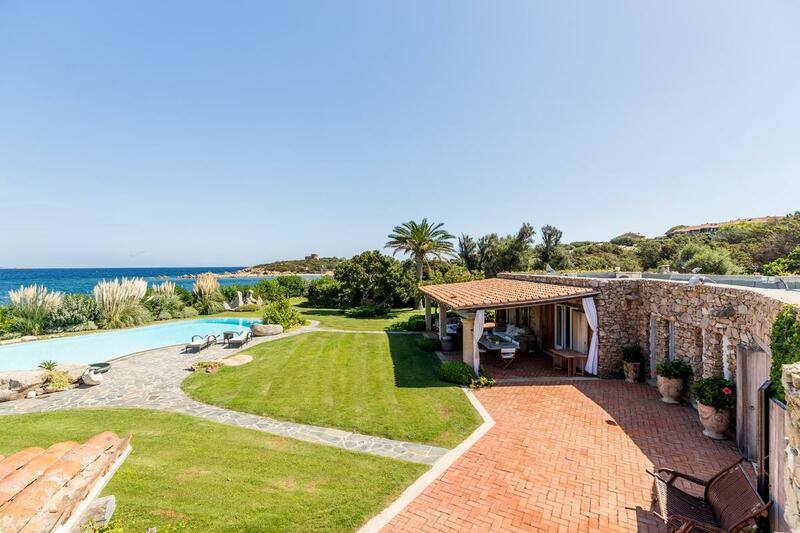 Embraced by the lush and unspoilt Mediterranean nature typical of the island, Villa Guttuso guarantees absolute privacy and tranquility, giving its guests the utmost comfort, serenity and well-being. 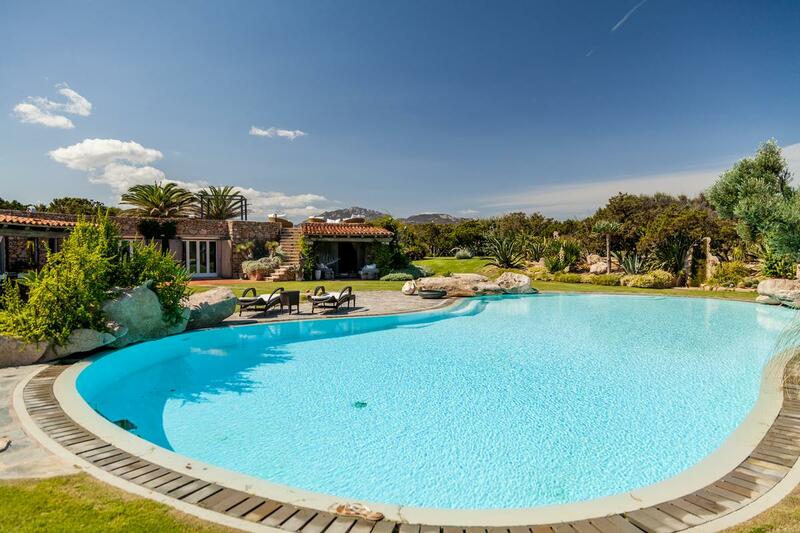 Majestic combination of happiness and harmony, this mansion is a truly enticing estate to call home.